Ascension Home Contractors LLC provides home renovation which includes additions, basements, decks, bathroom, kitchen and more. We pride ourselves on quality, service and cost consciousness. We are licensed, bonded and insured! Our team of remodeling contractors has been working non-stop around the DC-Metro area since 2001. Our priority is to leave you, the client, completely satisfied with the finished results. Our clients are provided with high-quality, top-notch service and they deserve nothing but the best. A remodeling project can be very stressful at times, and going through this process alone can cause lots of headaches. Our aim is to be by your side assisting you throughout the entire way. Our approach is to maintain the client as involved as possible in the project. This includes any decision making, changes, additions, and etc. Our priority is your satisfaction and we take pride in this personal approach to reach your goal. When dealing with a project in your home, communication is essential. Our approach is to build a relationship with you to promote the best outcome for the project. We take the time to get to know you and your likes/dislikes. Getting to know our clients on a personal level helps us ensure they’re satisfied with the results we acquire as a team. You will not be treated like a number! We will work at your home as if it was ours, because our clients are our family, and we want to do the best job possible. With all the changes that go on, our team has been steady with updating our skills and keeping up with new technology. 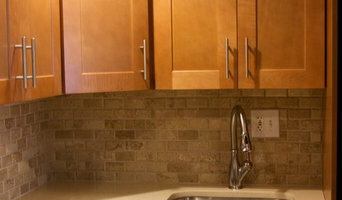 We are associated with several other local remodeling companies that provide different services. In case you need something done at your home, we are here for you. Our future includes you, and we are excited to work together to get you to the house of your dreams. Calls us today for more information. Full service home remodeling, home repair and maintenance. Commercial remodeling and repair service offered as well. “Let Frank Do It” provides services with the highest standards. Personnel providing services are honest, talented craftsman who take pride in their work. “Let Frank Do It” will be on time and on budget. No job is too small. “Let Frank Do It” is able to handle a broad range of projects, creating a cost effective plans that deliver value without compromising quality. We are fully insured. During the process of designing your project, we will take the time to ensure your complete satisfaction. 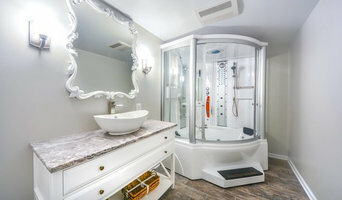 If you are considering a project in your home or small business and are unfamiliar or uncomfortable with the planning and supervision, “Let Frank Do It.” We will help you formulate your vision into a project, initiate a design, and assemble a team of independent craftsman to bring your vision to reality. This approach allows you access to talented, skilled craftsman and a company looking out for your interests throughout the process. Unlike larger companies who have crews and employees that they have to apply to a specific project, we can pull together prescreened, independent craftsmen who have talents that contribute to the ultimate quality and durability of the completed project. We handle all negotiations and supervise materials and labor. You have one contract, with “Let Frank Do It”, instead of several agreements with different contractors. We supervise the delivery of materials, timing of work from various craftsman, and ensure quality by creating and monitoring completion standards “Let Frank Do It” for you! General, or construction contractors, are often known as project managers. They oversee the entire remodeling or new home construction project and facilitate all day-to-day tasks that move it toward completion. A College Park general building contractor will work with your architect to review plan as you build a house and ensure everything is in place before work is started as well as arrange for permits and necessary inspections. While good local home improvement contractors in College Park will have the skills to handle certain tasks onsite, such as carpentry, he or she is also responsible for hiring subcontractors for the majority of jobs, such as electrical work, painting or plumbing. In addition, the general contractor should be on-site regularly to inspect the progress and resolve issues. Here are some related professionals and vendors to complement the work of general contractors: Architects & Building Designers, Interior Designers & Decorators, Landscape Architects & Landscape Designers, Kitchen & Bath Designers, Specialty Contractors. Home remodeling contractors are a must for successful completion of a renovation. Because of this, it's essential that you do your homework before deciding on the right general contractor in College Park as you remodel or build a house. Inspect bids carefully. Was it ready when the contractor promised it? Was the bid for building a home unusually high or low? Each of these things can be very telling: A late bid may reflect timing standards, and an off-the-mark bid could be code for a pricey premium or a deliberate underbid to score the remodeling job. You should call references, carefully read reviews and visit completed projects in College Park, MD to see if they’re what you expect for your job. Once you do secure your local College Park contractors, read the contract very carefully to be sure everyone is on the same page. 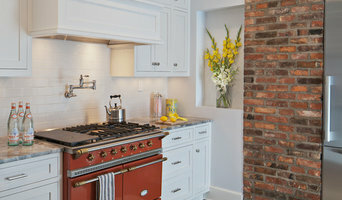 Find a College Park contractor on Houzz. Narrow your search in the Professionals section of the website to College Park, MD home contractors. You can also search for photos in College Park, MD and contact the College Park general contractor who worked on the project.